Yes, as always, thank you Bilgerat, a very interesting read. A remarkable post, Bilgerat, thank you very much, I thoroughly enjoyed it. HMS Boyne was a 98 gun 2nd rate ship of the line built by the Royal Dockyard at Woolwich. She was the lead ship of a class of four identical ships, built in two batches. The other ship in the first batch was HMS Prince of Wales, built by the Royal Dockyard at Plymouth. The second batch, ordered 18 years after the first comprised another ship called HMS Boyne (for reasons which will come clear in this article) and HMS Union. 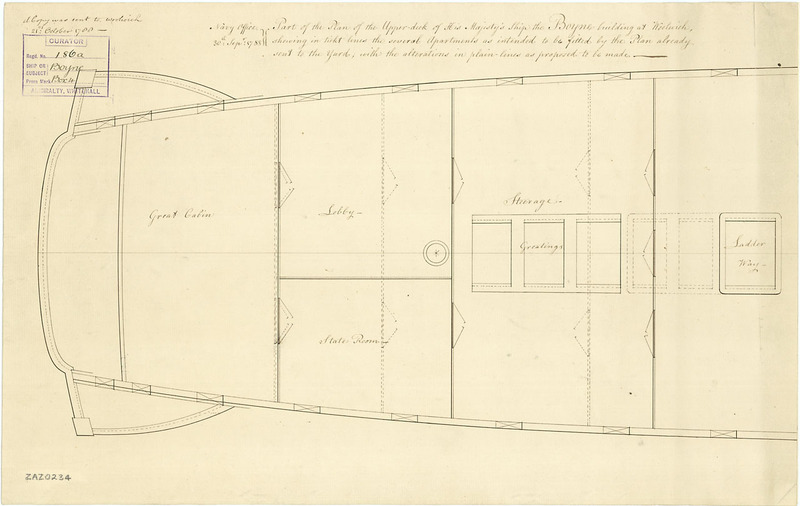 What was notable about the Boyne Class was that they were copies of the draft of HMS Victory. 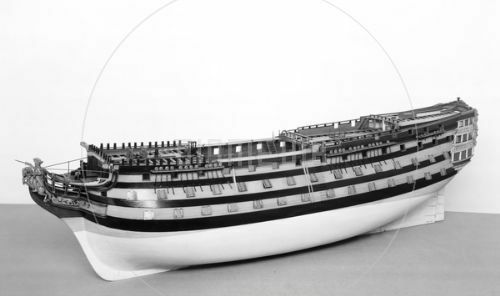 The reason for this is that in the early 1780's, the Admiralty decided that the design of HMS Victory, although by now too small to be used as the basis of new first rate ships, would be ideal for use in the construction of 98 gun 2nd rate ships. 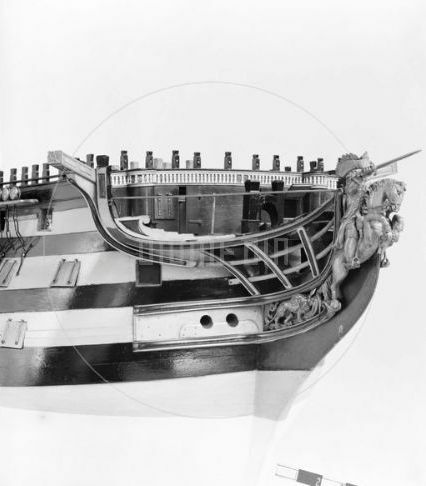 Designed by Sir Thomas Slade and launched in 1765, HMS Victory was originally intended to be a one-off, so the Boyne Class were the nearest she had to being sister-ships, being externally identical apart from being pierced for one less gunport each side on the lower gundeck. The other difference was that HMS Victory, as built, carried 42pdrs on her lower gundeck, 24pdrs on her middle gundeck and 12pdrs on her upper gundeck, whereas the Boyne class carried lighter guns on their lower and middle gundecks as shown below. HMS Boyne was ordered from the Royal Dockyard at Woolwich on Tuesday 21st January 1783. By this time, the American War of Independence was beginning to wind down. The war on the American mainland had been lost with the surrender of General Lord Cornwallis and his army at Yorktown in 1781. French attempts to eject the British from the Caribbean had been thwarted by the Royal Navy's victories at the Battles of the Saintes and Mona Passage in April 1782. The British and French were involved in a struggle for control of India which was still ongoing. On 27th January, the Royal Dockyard at Woolwich received instructions that the new ship was to be named 'Boyne', after the battle fought near modern day Drogheda in 1690. Her keel was laid on Tuesday 4th November 1783, by which time the war had been ended by the Treaty of Paris (1783). HMS Boyne was a huge ship by the standards of the day and her construction took over seven years. She was launched into the River Thames, her hull complete, on Sunday 27th June 1790. By the time the ship was launched, the absolute power enjoyed by the Kings of France had been ended by the French Revolution the previous year and a constitutional monarchy had been established. After her launch, the ship was fitted out at the Royal Dockyard, Woolwich. This involved coppering her hull and fitting her guns, masts and rigging. On completion, she was a large and massively powerful warship. She was 182ft long on her upper gundeck and 50ft 4in wide across her beam. She was armed with 28 32pdr long guns on her lower gundeck, 30 18pdr long guns on her middle gundeck, 30 12pdr long guns on her upper gundeck, 8 6pdr long guns on her quarterdeck and 2 6pdr long guns on her forecastle. She was a ship of 2,020 tons and was manned by a crew of 750 officers, men, boys and marines. Her construction had cost a total of £59,043. HMS Boyne was commissioned for the Spanish Armaments Crisis under Captain George Bowyer in August 1790. When that crisis was resolved peacefully, the ship was decommissioned again in November of that year. Meanwhile, across the Channel, the situation was going from bad to worse. A power struggle between the King of France, Louis XVI and the National Convention had brought France to the brink of civil war and the country was in a state of near-anarchy. Eventually, the National Convention came under the control of militants led by Maximilien Robespierre and in late 1792, the Monarchy was abolished and a republic was declared. In January 1793, the king and queen were executed and the following month, France declared war on Britain. In April 1793, HMS Boyne was commissioned under Captain William Albany Otway and joined the Channel Fleet, under the ultimate command of Vice-Admiral the Lord Howe. During December 1792, HMS Boyne had undergone a brief refit in which her quarterdeck and forecastle 6pdr guns were replaced by 12pdr long guns. On 1st June 1793, HMS Boyne captured the 20 gun French privateer Guidelon in mid-channel. In November 1793, HMS Boyne became flagship of Vice-Admiral Sir John Jervis and sailed for the Caribbean on 26th November. Also in that month, HMS Boyne received a new commander, Captain George Grey. Captain Otway had been reassigned to command HMS Belliqueux (74). Captain Grey's previous appointment had been as Master and Commander in the bomb ketch HMS Vesuvius. He was the son of Lieutenant-General Sir Charles Grey, the First Earl Grey. His appointment as Vice-Admiral Jervis' Flag Captain was no coincidence. George Grey's career in the Royal Navy was helped by the patronage of people in high places. He joined the Royal Navy in 1781 at the age of 14. He served in HMS Resolution (74) during the Battle of the Saintes in 1782. At the outbreak of the French Revolutionary War in February 1793, he was serving as a Lieutenant in the frigate HMS Quebec. His father wrote to John Pitt, 2nd Earl of Chatham, who was First Lord of the Admiralty at the time, asking that his son be considered for promotion. Sure enough, when he received his next appointment in August 1793, it was as Master and Commander in HMS Vesuvius. When Jervis learned who would be commanding the troops under his command and that his son was commanding a vessel in his fleet, it made political sense to promote the young captain in order to get the influential general on-side. On arrival at Barbados, Jervis became Commander-in-Chief of that Station and took command of a fleet also consisting of the ships of the line HMS Vengeance (74), HMS Irresistible (74), HMS Asia (64) and HMS Veteran (64), the frigates HMS Beaulieu (40), the ex-Spanish HMS Santa Margarita (36), the ex-French HMS Blonde (32), HMS Solebay (32), HMS Quebec (32), HMS Ceres (32), HMS Winchelsea (32), HMS Rose (28), the 16 gun ship sloops HMS Nautilus, HMS Rattlesnake, HMS Zebra, HMS Avenger, the bomb-ketch HMS Vesuvius and the store ships HMS Dromedary and HMS Woolwich. In addition to the naval forces, Jervis was also had at his disposal a force of soldiers under Sir Charles Grey, whose son George, was serving as Flag Captain in the flagship HMS Boyne. He had 7,000 men under his command. On 2nd February 1794, Jervis and his fleet left Barbados and sailed to French-held Martinique, with the intention of taking that island from the French. As a result of the ongoing chaos within the French government, Martinique was thinly defended. General the Compte de Rochambeau (the same man largely responsible for the Franco-American victory on the mainland during the American War of Independence) commanded a force of about 600 men, of whom only about 200 were regular troops, the rest were local militia. In addition to this, there were only two French warships at Martinique, the frigate Bienvenue (32) at Port Royal and an unknown corvette of 18 guns at St Pierre. Had the island been properly garrisoned, it would have been nigh on impregnable as there was no shortage of forts and batteries for the British force to overcome. In order to divide the enemy forces, the British troops were landed at three points on the island, each a considerable distance from the other. Because of the shortage of defenders, the British campaign proceeded rapidly and by 16th March, the whole island was under British control, except for Fort St. Louis, Fort Bourbon and Fort Royal. Up to that point, the British had suffered losses of 71 killed, 193 wounded and 3 missing in action. The seamen of the fleet were not idle and provided valuable assistance to the army. A division of 200 seamen led by Lieutenant Thomas Ropers and Lieutenant William Cordon Rutherford stormed an enemy strongpoint at Monte Mathurine armed only with pistols and pikes. A further division of 300 seamen and marines landed at the Cul de sac Cohee with a 24pdr long gun and two mortars taken out of HMS Vesuvius. This division was led by Captain Eliab Harvey of HMS Santa Margarita, Captain William Hancock Kelly of HMS Solebay, Captain the Lord Garlies of HMS Quebec. The captains were assisted by Lieutenants Isaac Wooley, Joshua Bowley Watson, Thomas Harrison, James Carthew, Alexander Wilmot Schomberg and John W Taylor-Dixon, together with Lieutenant Walter Tremenhere of the Royal Marines. They had been tasked with moving the heavy guns five miles from the landing point to the summit of Mount Sourriere. This was a truly Herculean task and they accomplished it in three days. On the way, the men had to cut a road a mile long through a thick forest, build a bridge over a river capable of supporting the three-ton 24 pounder gun and then levelling the banks of another river, removing several huge boulders standing in their way. In addition to this, the larger ship's boats had been converted to gunboats by fitting them with heavy guns taken from the ships. The seamen of the fleet also built a battery on Point Carriere overlooking the harbour at Fort Royal with more heavy guns taken from the ships. The gunboat force came under the command of Lieutenant Richard Bowen of HMS Boyne. At noon on 17th March, Lieutenant Bowen launched an attack on the Bienvenue frigate, laying in the harbour at Fort Royal. As soon as his force was seen entering the harbour, French troops opened an incessant musket-fire from the walls of Fort Royal and the guns on the Bienvenue opened fire on them with grapeshot. Despite this, Lieutenant Bowen's force came alongside the French frigate and boarded her. There was little opposition, the majority of the French crew having fled ashore on sighting the British force's approach. Unfortunately, the Bienvenue was trapped on a lee shore and unable to set any sail and still coming under intense musket-fire from the fort, Lieutenant Bowen was forced to abandon his prize but left with 22 French prisoners taken from the frigate. On the way back to HMS Boyne, Lieutenant Bowen and his force came under musket fire which claimed the lives of three of his men and wounded five. The success of Lieutenant Bowen's raid on the Bienvenue prompted an all-out British assault on Fort-Royal on the 20th March. HMS Asia and HMS Zebra were ordered to enter the harbour in readiness to bombard the fort and to provide covering fire for a force of up to 1,200 seamen in boats commanded by Captain Nugent of HMS Veteran and Captain Edward Riou of HMS Rose, who were tasked with attacking the fort from the seaward side. The force of seamen stormed the fort and Captain Nugent personally hauled down the enemy's colours and hoisted the Union Flag in their place, signifying that the fort had fallen. As a reward for his courage and leadership and with the consent of General Grey, Jervis gave Captain Nugent command of the fort. The taking of Fort Royal pursuaded the Compte de Rochambeau to begin surrender negotiations. These concluded on the 22nd March, with the surrender of the remaining French garrison on Martinique. The Royal Navy's casualties in the taking of Martinique came to Captain James Milne of HMS Avenger and 13 seamen killed, Captain Sandford Tatham of HMS Dromedary, Lieutenant Thomas Henry Wilson and Lieutenant Thomas Clarke, a Surgeon and 24 seamen wounded. The Bienvenue was taken into the Royal Navy and renamed HMS Undaunted. 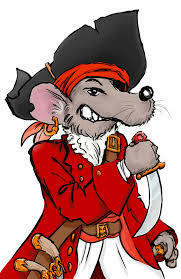 Captain Faulknor of HMS Zebra was given command of her and Lieutenant Bowen, as a reward for his actions in the earlier raid on the ship was appointed Master and Commander in Faulknor's place in HMS Zebra. Jervis' next target was the French-held island of St Lucia. Again, this island was sparsely defended. On 31st March, the fleet left Martinique having left a garrison of troops under Lieutenant-General Prescott and a small squadron of ships under Commodore Thompson to defend Martinique should it be necessary. After arriving at St Lucia the next day, troops were again landed in three different and widely seperated positions to divide the enemy defenders. The British troops were landed without opposition and in a campaign lasting three days, captured the island without loss. In the storming of the redoubt at Morne Fortunee, the enemy suffered losses of two officers and 30 men. The sole survivor of the French garrison of 33 men was taken prisoner. A small British garrison was left behind under Colonel Sir Charles Gordon and the rest of the soldiers and Jervis' fleet returned to Martinique, arriving there on 5th March 1794. After spending two days preparing for the next assault, Jervis and his fleet including HMS Boyne left Martinique early in the morning of the 8th March bound for the French-held island of Guadeloupe. After arriving on the 10th March, a strong party of seamen, marines and soldiers landed under the shore battery at about 01:00 on the 11th. They were covered in this by the guns on HMS Winchelsea, which had anchored about 50 yards from the battery At daylight, HMS Winchelsea opened fire on the battery and very soon, silenced it's guns. The only casualty in this operation was Lord Garlies, captain of HMS Winchelsea, who received a slight wound. On 12th March, a party of seamen led by Captain Faulknor assisted the army in storming the fort atop an almost vertical slope at Fleur d'Epee. They scaled the hill under a rain of musket and grapeshot, took the parapet, fought their way to the gates of the fort and opened them, admitting another force of seamen. After this, the French garrison at Fort St. Louis, the town of Pointe-a-Pietre and a new French battery on the islet of Islot-a-Cochon all fled by boat to the town of Basseterre. In the meantime, Jervis dispatched HMS Quebec, HMS Ceres, HMS Rose and one of the sloops to attack the Isles des Saintes, adjacent to Guadeloupe. These three islands were taken by a force of seamen and marines without loss. The French garrison on Guadeloupe surrendered on the 20th March. After leaving behind a small garrison, Jervis and the fleet left Guadeloupe and returned to Martinique. The situation in that part of the Caribbean remained quiet until the morning of the 3rd June 1794, when a force of nine French ships arrived at Guadeloupe and began landing troops at the village of Gosier. They quickly overwhelmed the small British garrison left behind on the island. On 5th June, the news reached Vice-Admiral Jervis in HMS Boyne, which was lying at the island of St. Christopher in company with HMS Veteran, HMS Winchelsea and HMS Nautilus. Also aboard HMS Boyne was Sir Charles Grey. Jervis reacted immediately, dispatching HMS Winchelsea to Antigua and HMS Nautilus to Martinique to pick up troops, while he set sail for Guadeloupe in HMS Boyne in company with HMS Veteran. In the afternoon of the 7th June, the two ships arrived off Guadeloupe and were quickly joined by HMS Vanguard (74 - she had replaced HMS Irresistible which had been sent to Jamaica) and HMS Vengeance. Sir Charles Grey landed immediately at Basseterre, while Jervis in HMS Boyne with HMS Vengeance, HMS Vanguard and HMS Veteran made their way to Gosier. Once there, covered by the guns of HMS Winchelsea and HMS Solebay, they landed troops and about 1,200 seamen under the command of Captains Lewis Robertson of HMS Veteran and Charles Sawyer of HMS Vanguard. Encountering no opposition, they took control of Gosier. Between 25th June and the end of the month, several indecisive skirmishes took place between the French and British forces. On 2nd JUly, the British launched an assault on Pointe-a-Pietre, which was repulsed by the French. The failure of this attack led to the abandonment of a planned assault on Fleur d'Epee. The failure led to the British withdrawal from the greater part of Guadeloupe and the two forces pretty much left each other alone until the end of September 1794, when the French were reinforced on the 27th by a strong force arriving from France. These reinforcements drove the British out of the rest of the island and on 7th October, the last British outpost at Berville surrendered. By the Spring of 1795, HMS Boyne, Vice-Admiral Jervis and Captain Grey had returned to the UK. In the morning of the 1st May, the ship was at anchor at Spithead. Her marines were exercising and carrying out firing practice with their muskets from their firing positions on the poop, forecastle and in the fighting tops. The wardroom stove was lit for the stewards to prepare the officer's breakfasts. The flue from the stove ran up through the Admiral's quarters on the upper gundeck. The heat from the iron flue seems to have set papers on Vice-Admiral Jervis's desk on fire. The fire spread rapidly in the Admiral's quarters and by the time it was discovered, flames were licking up out of the stern windows on that deck and had burst through the poop. It was too late to attempt to fight the fire. Within half an hour of the fire being discovered, HMS Boyne was engulfed in flames. As soon as HMS Boyne was seen to be on fire, other ships in the anchorage sent boats to assist in the evacuation. The ships nearest to HMS Boyne immediately weighed anchor or cut their anchor cables and were towed by their boats to the neighbouring anchorage at St Helens, Isle of Wight. It was the practice of the Royal Navy at the time to have some of the ship's guns left loaded in case of a sudden attack. Those guns aboard HMS Boyne which were loaded began to fire off as a result of the heat of the fire. The first rate ship HMS Queen Charlotte was hit by some of the rounds from these guns and this caused the deaths of two seamen aboard that ship. HMS Queen Charlotte was to suffer a similar fate off the coast of Italy five years later. Thanks to the rapid response of the other ships in the fleet in sending boats to help in the evacuation of HMS Boyne, only eleven people lost their lives out of the almost eight hundred aboard when the fire broke out. The fire burned through HMS Boyne's anchor cables and the ship drifted, engulfed in flames, across Portsmouth harbour until she ran aground opposite Southsea Castle. A few hours later, the fire reached the many tons of gunpowder in her magazine and she was torn to pieces in a huge explosion. After the loss of HMS Boyne, Vice-Admiral Jervis shifted his command flag to the first rate ship HMS Victory and Captain Grey followed him to take command of that ship. Later that year, Jervis commanded a fleet from HMS Victory in the spectacular victory against the Spanish in the Second Battle of Cape St. Vincent. He was assisted in this in no small way by another of his proteges, a young, recently promoted Commodore called Horatio Nelson, flying his command pennant in HMS Captain (74). For his victory at Cape St. Vincent, Jervis was promoted to Admiral and made an earl, becoming the First Earl St. Vincent. Nelson for his part, was promoted to Rear-Admiral and was knighted. Jervis went on to become Commander-in-Chief, Channel Fleet. During his time in command of the Channel Fleet, he flew his command flag in the giant Chatham-built ship HMS Ville de Paris of 110 guns, then the largest ship ever built for the Royal Navy. HMS Ville de Paris was commanded, again, by Captain Grey. Jervis went on to become First Lord of the Admiralty and died in 1823 at the age of 88. Grey went on to command the Royal Yacht, the Royal Charlotte and died in 1828. Portsmouth Wreck of the Boyne. Mr. Abbinett, who obtained permission from the Lords of the Admiralty same years ago to remove the wreck of the Boyne, renewed his operations against it on Wednesday last, the 24th inst., by attempting to fire a charge of 300 lb. of powder under the larboard side, in a wrought-iron powder vessel, made for him by Mr. Stebbing, of the same construction ordered and approved by Colonel Pasley last year, and since extensively used by him at Spithead - namely, a compact cylinder with conical ends. This charge had been prepared and fitted with a voltaic conducting apparatus by Sergeant-Major Jones and Corporal Read, and a party of Royal Sappers and Miners, who came from Spithead, with one of the Government voltaic batteries to fire it for Mr. Abbinett, by permission of Colonel Pasley. On the failure of this charge, a second was sent for by the Colonel, who was unwilling to disappoint Mr. Abbinett, after having promised him his assistance; which also failing, to the great surprise of every one present, the operation was postponed till next day, when the same party of Royal Sappers and Miners came from Spithead, bringing with them a couple of the same sort of wrought-iron cylinders, with another voltaic conducting apparatus. On this occasion Colonel Pasley, who came to meet them on board Mr. Abbinett's vessel, declared that he had never had any failures in the course of the season before, and that he could only account far them by awkwardness or mismanagement on the part of the diver employed by Mr. Abbinett to place them, and therefore he declined permitting them to be fired, unless some other diver was sent down with them. Mr. J. Deane, one of the two celebrated brothers who first brought this important art to perfection, having also come out as a spectator, then volunteered his services, which being approved by Colonel Pasley, he placed the two charges in succession, one under the larboard and the other under the a starboard side of the wreck, with great skill and precision ; and as soon as he came up they were fired by Sergeant-Major Jones, with the same brilliant success that has always attended the like operations at Spithead, during the present year. Too columns of water thrown up were about 8 or 10 feet high, and a great number of fish were killed by both explosions. When one, of these charges was fired over the Boyne, it communicated a shock which was sensibly felt by Mr. George Hall, one of Colonel Pasley's divers at Spithead, who happened to be down at the time exploring the wreck of the Royal George, and not being aware of what was going on near Southsea Castle, he thought something heavy had been dropped into the water by accident, and fallen upon his helmet, as it gave him a smart rap. After the second explosion Mr. Deane went down again and found that both sides of the wreck, which had stood eight or ten feet high before the explosion, were knocked to pieces and laid prostrate, so that he could walk into the hull, which before was inaccessible from the outside. A deep crater was also formed in the mud alongside. Some pieces of timber and several copper bolts were brought up immediately by Mr. Deane ; and we have no doubt that Mr. Abbinett will be well repaid for the expense of gunpowder, &c., by the copper fastenings of the fragments of the wreck which he will be able to recover. He is now making arrangements for placing a lump over it, which his own handy sailing vessel will enable him to work to advantage. No part of the two great charges (amounting to nearly 600 pounds of powder) was spoiled by the failures of Wednesday, which only injured the conducing wire of the voltaic apparatus, and a small priming charge of a few ounces of fine powder in the centre of one of the wrought iron vessels.